The recent WSJ article on Bill Gates’ and Prince al-Waleed’s investment in the Four Seasons brings to light the amount of wealth and investment capital held by family offices globally and their approach to investing. Over $4 trillion is managed by this distinct set of entities set up to manage the assets of families ranging from the self made to generational and from the low profile and informal to the well publicized and institutionalized. The differences in family office investment style can be many but one theme that seems to pervade is a preference to invest for the long term. A long term approach cultivates company focus and persistent effort; meanwhile change of control transactions every three to five years are disruptive to operations and expensive to execute. A company’s board and management become more experienced over time improving major decision making and periodic fine tuning. Most companies take time to hit their stride under new ownership, culture, strategy and ambitions. Returns compounding over extended timeframes for an investor frequently outperforms and is less volatile than cycles of invest > harvest > redeploy. 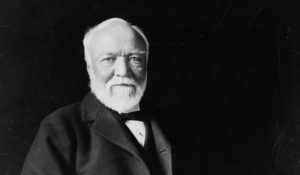 While a long term approach is not feasible for all investors given it requires unique foresight, long term discipline and deep financial wherewithal, it’s the style that has stood the test of time from Carnegie to Buffet to Gates.